Let’s be honest now… there are some absolutely terrible American football films out there! However, we mustn’t let that distract us from the fact that there are some really great movies centred around the game too. Being such an emotive sport—a kind of emulation of battle—it makes for some great cinematic moments both on and off the field. Well, with the new season just getting started, and all the American football news and gossip firing up on sites such as bettingsports.com, it seemed like a good time to look back over some of the finest American football films there have been…. If you’ve yet to see The Blind Side, then you’re really missing out. Released in 2009, this amazing biographical sports drama tells the story of Michael Oher and his incredible journey from a troubled youth to a more settled and successful adulthood, via football. Don’t worry – we won’t spoil the plot of this lovely picture (which grossed $300 million, by the way). Let’s just say that you’ll see Sandra Bullock in an amusingly tough maternal role (for which she won the Academy Award for Best Actress) guiding an immense young man in the ways of life and football with some astonishing results. This absolute classic from 2000 never fails to both amuse and motivate. Like the Rocky films, the training scenes in this one are extremely powerful; and beneath all of that stirring stuff the vital message about integration really shines through. 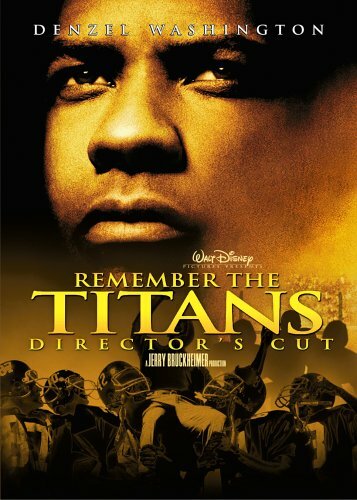 Set in 1971, this High School Football film sees a charismatic Denzel Washington leading the action as Coach Herman Boone, and a young Donald Faison (perhaps best known as Turk from the TV Sit-Com Scrubs) providing some laughs as Petey Jones. Just check out the trailer and try to resist watching the whole thing! 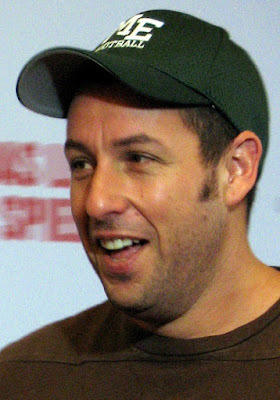 Comedy legend Adam Sandler takes football and makes it hilarious in The Waterboy. Here, he plays an extremely pitiable young man who finds in football both a passion and a path to success and respect. With a lot of slapstick comedy and Sandler style silliness, this 1998 movie still entertains twenty years on. It also provides a refreshing, lighter look at a game that takes itself just a little too seriously at times. Some love him and some loathe him but Tom Cruise sure knows how to bring the screen to life. As the sports agent who, after a little soul-searching, ends up jeopardising his career, he becomes closely involved with single mother Dorothy Body (played by Renee Zellweger of Bridget Jones’s Diary fame) and football star Rodney Tidwell (Cuba Gooding Jr.). This 1996 movie actually saw Cruise win the Academy Award for Best Actor and Cuba Gooding Jr. win the Academy Award for Best Supporting Actor. When you re-watch all these years later you can see why: the on-screen relationship between the two is pure cinematic gold.